Updated xbian via GUI today (18th of august 2015). Rebooted. xbian now boots to terminal login screen and does not run Kodi. xbian daemon is not running. Other services(SSHD, NTPD, cron aso..)seem to be OK. Tried to start manually via xbian-config, not working. Tried to start with /etc/init.d/xbian start. No working. No attempts are logged in kodi.log, last entry is from update process. Start update in xbian-config GUI and reboot. Downgrading the scripts from 1.2.1 to 1.2.0 worked for me as well. Thanks. PS! Some of you might want to make sure that the script is not automatically reinstalled. Same here, the package downgrade worked as a workaround until fixed. thanks! Thanks, mate, just trying it now, too. Worked here too! (to get Kodi screen again). But...it has changed the menu refresh rate and broken I2S support, so no dac sound at all. If you are thinking of upgrading, then I would wait if I were you, especially if your Xbian is currently functional. (19th Aug, 2015 03:41 AM)Skywatch Wrote: [ -> ] If you are thinking of upgrading, then I would wait if I were you, especially if your Xbian is currently functional. That's always true. Don't fix what aint broken. Maybe I'm wrong, but I always been against that proverb for a couple of reasons that are pointless here... But! The reason why I choose xbian is because it's supposed to be "the bleeding edge"! I don't see the point of not upgrading if I want to be on the bleeding edge! Anyway, I know that when I want that "bleeding edge", those things can happen and I'm OK with that. We're all hoping for a fix! Almost all packages are automatically created every X number of days. We don't test them, but instead offer the user the possibility of a multi-version apt repository and filesystem snapshots. As soon as something breaks, you can easily downgrade and upgrade again a week later. 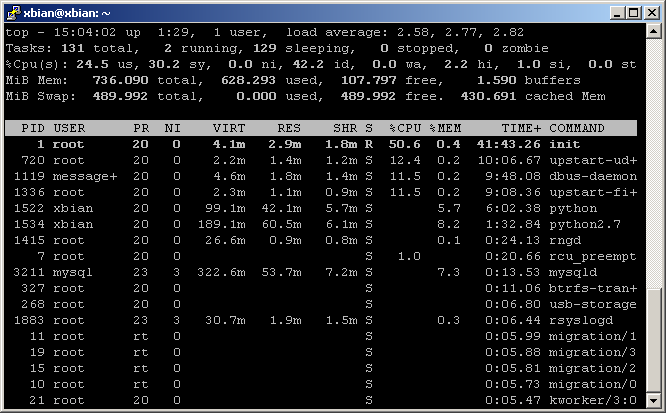 Last week i upgraded samba on my FreeBSD NAS. It totally broke my system. I couldn't downgrade because the previous version wasn't available anymore, only the last. I could fix my NAS because i have nightly snapshots of my rootpool for 3 months. So i just rolled back everything and it worked again. - The very latest compilation of each package (which could be buggy). - A snapshots / rollback capability in case of issue. That's (part of) what we call bleeding edge. (19th Aug, 2015 02:52 PM)CurlyMo Wrote: [ -> ] Almost all packages are automatically created every X number of days. We don't test them, but instead offer the user the possibility of a multi-version apt repository and filesystem snapshots. As soon as something breaks, you can easily downgrade and upgrade again a week later. What's the "best" way in the present case? Rollback snapshot or downgrade with apt? Sorry if the answer is obvious, I'm pretty new to xbian. Damn, latest updates ****** it up even worse.